Client: NUS Black Students’ Campaign. The NUS Black Students’ Campaign represents the largest constituency in Europe of students of African, Asian, Arab and Caribbean descent. 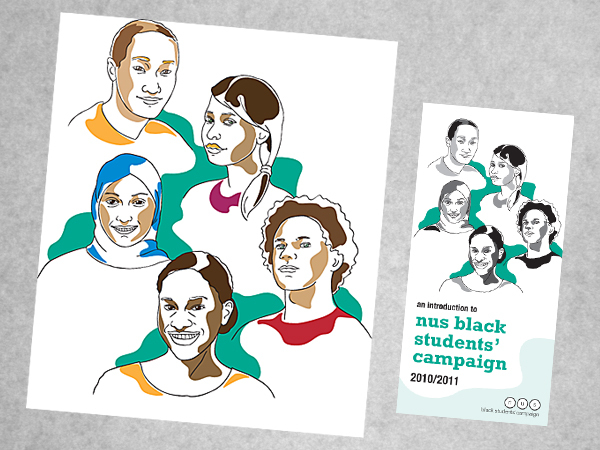 This is an ink drawing of ethnically diverse students produced as part of a new identity for the campaign. All my experience is focused upon one thing: meeting your design needs and promoting your organisation as effectively as possible. With eye-catching design and a readiness to go the extra mile, Mulberry Design offers both the quality and the commitment that you need.